‘Tis the season for giving – and what better way to give than with an Albury Enviro Bag Christmas bag? If you’re planning on spoiling your loved ones, colleagues, employees or clients this Christmas, holiday gift bags are a must. If you’re looking something extra special, choose gift bags made from environmentally friendly materials, and customise them using your own unique design or logo. Albury Enviro christmas bags start from as low as $1.20 per bag, and will take your presents to the next level. Teamed with your own design or fun Christmas message, you can coordinate your Christmas bag to match your gift wrapping, festive ribbons and themed gift tags, to create a gift that really shows you care. If you’re a business looking to foster brand loyalty over the festive season, this is the perfect option for you! At Albury Enviro Bags we stock a huge range of holiday gift bags that can be personalised to best suit your individual preferences or brand’s core values. We have small, medium, large, extra large and even bottle bags ranging from traditional designs to the super stylish. 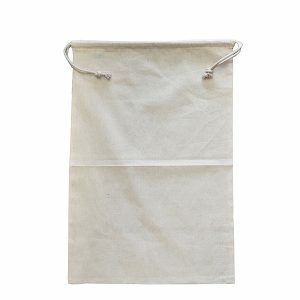 We even have large cotton drawstring bags for those all-important Christmas hams! Our business is based on honesty and integrity, and our success and reputation is a result of our strong commitment to ethical standards, quality and service. We work with our clients to supply custom made and printed products at very competitive rates, and our extensive sourcing capabilities elevates us above our competitors. At Albury Enviro Bags we offer almost unlimited choices when it comes to style and fabric. Our Christmas bags come in a massive range of sizes, and can be made using quality materials such as jute, non woven polypropylene, juco, cotton and canvas. Handle options range from thin to wide, and can be made from cotton cord, rope or drawstring. All of our bags are equipped for screen printing. Ordering with Albury Enviro Bags is a quick and simple process. Simply browse our wide range of Christmas bags, choose your desired style and fabric, and then fill out our enquiry and quotation form. Service is prompt, so you’ll have your bags delivered before you know it.